BAL have provided a range of products to support the development of a new facility in Rotherham for Grimm & Co, a worldwide charity which aims to get children excited about literacy. The Rotherham outlet is the first for the charity in the UK outside London. Each store boasts a different concept to inspire the imagination of children, which they then take back with them into school. The theme for the Rotherham facility focuses around “Master Graham Grimm”, a straight talking Yorkshireman who runs a thriving apothecary, supplying unnatural products and sought after services to magical beings. Jeremy Dyson, a writer and director best known as the non performing member of comedy group The League of Gentlemen is one of the charity ambassadors and has helped write the concept story. 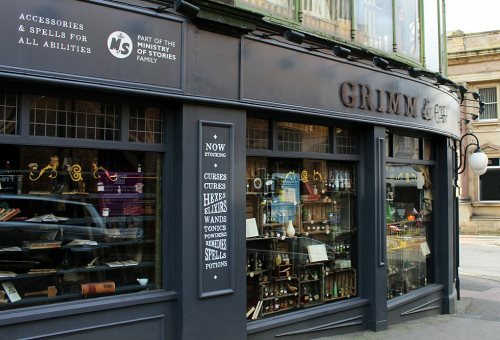 Grimm & Co can be visited by children throughout South Yorkshire, with school classes able to take a workshop where they enter a magical apothecary, learn all about Master Grimm and are then encouraged to write about what they discover. The charity is reliant upon donations but is also supplemented by an in house apothecary which not only makes a great background to the story but is somewhere you can buy bath salts but not as you know them, they may be called “pinch of happiness” for instance or “made from unicorns”. 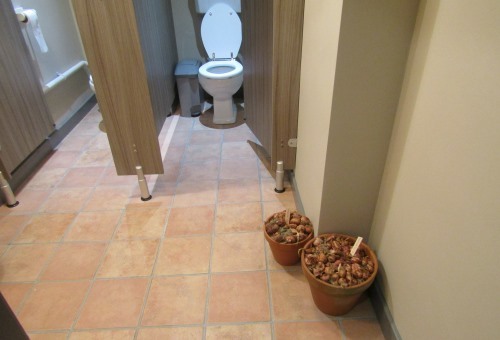 The Yorkshire Tile Company, which has branches in Leeds, Sheffield, Newcastle and Doncaster, supplied tiles for the potting shed (girls toilets), the tool shed (boys toilets) and also for the large writers room. 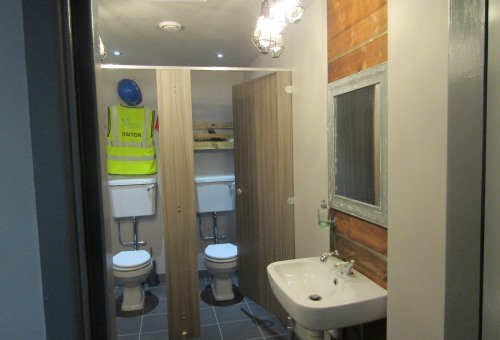 The concept here is that people do their best thinking on the toilet so the writing room has been given a toilet theme, complete with graffiti toilet doors made into desks, seating made out of toilet seats and completed with other quirky styling to finish the look. 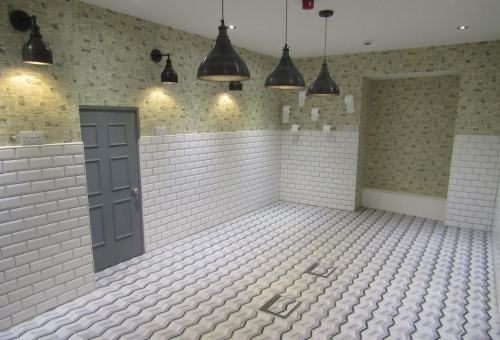 Yorkshire Tile have donated more than 40m2 of tiles, with BAL supplying BAL Supercover Rapidset and BAL Green Star tile adhesive, BAL Micromax2 Smoke grout, and BAL Rapid-Mat uncoupling mat. Alex Underwood, Head of Marketing at BAL, said: “We were delighted to be able to support this fantastic charity by donating all the adhesive, grout and our uncoupling mat system for this new venture.